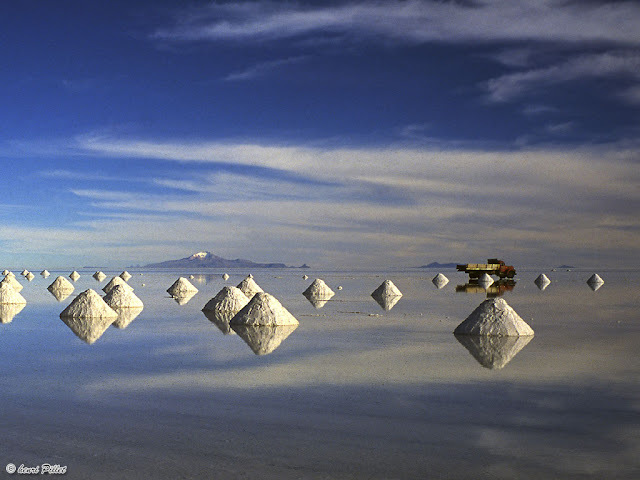 Seasonal floods transform the large, dry surfaces of the world's largest salt flat into one of the biggest mirrors on Earth. Salar de Uyuni, near the crest of the Andes, is made up of the remains of dried-up prehistoric lakes. 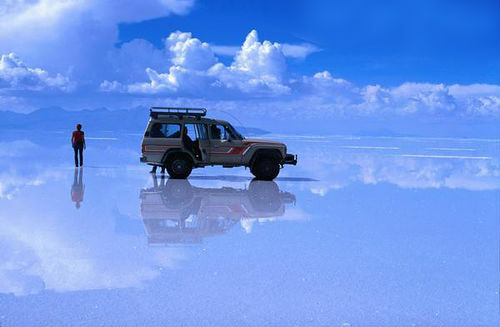 The unusually flat and reflective salt crust gives visitors the illusion they are walking on clouds. 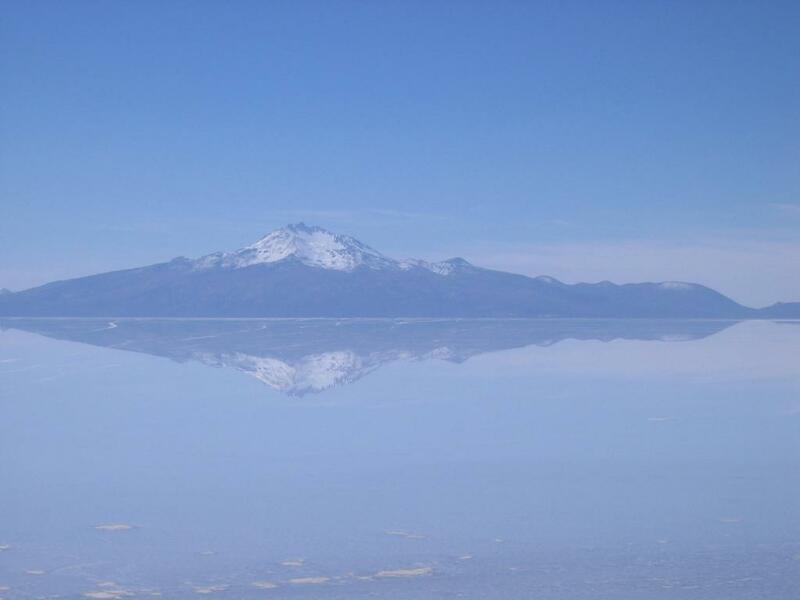 Although little wildlife or vegetation lives on the flats, it is a breeding ground for three species of pink flamingos. Visitors should have sun protection, warm clothing and plenty of water.